Africa–Europe Alliance which was launched only three months is presenting first progress on boosting investment and creating jobs in Africa. It presented its report at the High-Level Forum Africa-Europe in Vienna, hosted jointly by the Austrian Presidency of the EU, notably by Austrian Chancellor Sebastian Kurz, and Paul Kagame, President of Rwanda and the Chairman of the African Union for 2018, President Jean-Claude Juncker. It reiterated Europe’s ambition for a true and fair partnership among equals between Africa and Europe. President Juncker presented the first results of the Africa–Europe Alliance for Sustainable Investment and Jobs, just three months after its launch. The Alliance aims to deepen the economic and trade relations between the two continents, in order to create sustainable jobs and growth. 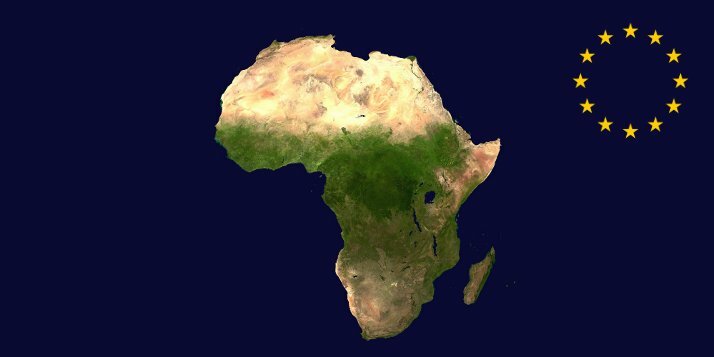 European Commission President Jean-Claude Juncker said: “Europe and Africa share a long history and a bright future. This is why I proposed a new Africa-Europe Alliance for Sustainable Investment and Jobs, to help attract both European and African investment and create 10 million jobs in Africa over the next five years. The President is accompanied to the High-Level Forum by Vice-President Andrus Ansip, Commissioner for European Neighbourhood Policy and Enlargement Negotiations Johannes Hahn, Commissioner for International Cooperation and Development Neven Mimica, Commissioner for Agriculture and Rural Development Phil Hogan and Commissioner for Digital Economy and Society Mariya Gabriel. The EU External Investment Plan aims to raise significant sustainable investments in Africa and European neighbourhood countries by 2020. From the €44 billion announced, programmes already in the pipeline will mobilise €37.1 billion of investments. An EU guarantee (NASIRA Risk-Sharing Facility), the first of its kind under the EU External Investment Plan, will use worth €75 million of EU funds to leverage up to €750 million of investments for entrepreneurs in Sub-Saharan Africa and the EU’s southern neighbourhood. Alone this is expected to create 800,000 jobs and benefit those who usually struggle to access affordable loans, such as small and medium sized enterprises, internally displaced people, refugees, returnees, women and young people. A new Agri-Business Capital fund worth €45 million will support smallholder agriculture by increasing access to finance for individual smallholder farmers. It is expected to attract more than €200 million in investments and benefit as many as 700,000 households in rural areas. To support the EU’s southern neighbourhood, a programme worth €61.1 million will supportsolar power plants in Morocco and €46.8 million will be invested in depolluting the Kitchener Drain in the Nile Delta region in Egypt. Since 2015, the Erasmus+ programme supported 16,000 exchanges of African students and staff from African Universities to come to Europe on short-term exchanges. With new Erasmus+ calls ongoing, the EU is well on track to deliver on its announced 2020 target of reaching 35,000 exchanges. In 2018 alone, the European Union has committed over €540 million to support business and investment climate reforms– significantly exceeding the Africa-Europe Alliance’s commitment to increase European Union support up to €300-350 million per year for 2018-2020. Public-private dialogues to promote Sustainable Business for Africa (SB4A) have been established in the following African countries: Cote d’Ivoire, Ethiopia, Morocco, Nigeria, South Africa, Tanzania, Tunisia and Uganda. Similar dialogues in 25 additional African countries are currently being prepared. This will help to boost decent job creation, in particular for young people and women. The dialogues were launched in Abidjan during the EU-Africa business forum in November 2017. The European Union is committed to support the creation of a African Continental Free Trade Area, and has notably announced €50 million of support. A first step was taken today with a €3 million programme signed with the United Nations Economic Commission for Africa to develop national implementation strategies for the continental free trade area. The establishment of an African trade observatory is also planned, and will be a key pillar of the African Continental Free Trade Area. The rural Africa task force today presented its recommendations on how best to develop Africa’s agriculture, food sector and rural economy. The digital economy task force met for the first time on 18 December in Vienna, on the occasion of the High-Level Africa-Europe forum. Its aim is to develop by June 2019 proposals for concrete actions and projects that support the integration of digital markets in Africa, boosting public and private investment, improving the business environment and investment climate as well as the development of digital skills. The energy task force was launched at the Africa Investment Forum in Johannesburg in November 2018. It brings together key players in the sustainable energy sector from the public and private sectors of both Europe and Africa. A task force for transport is currently being set up.